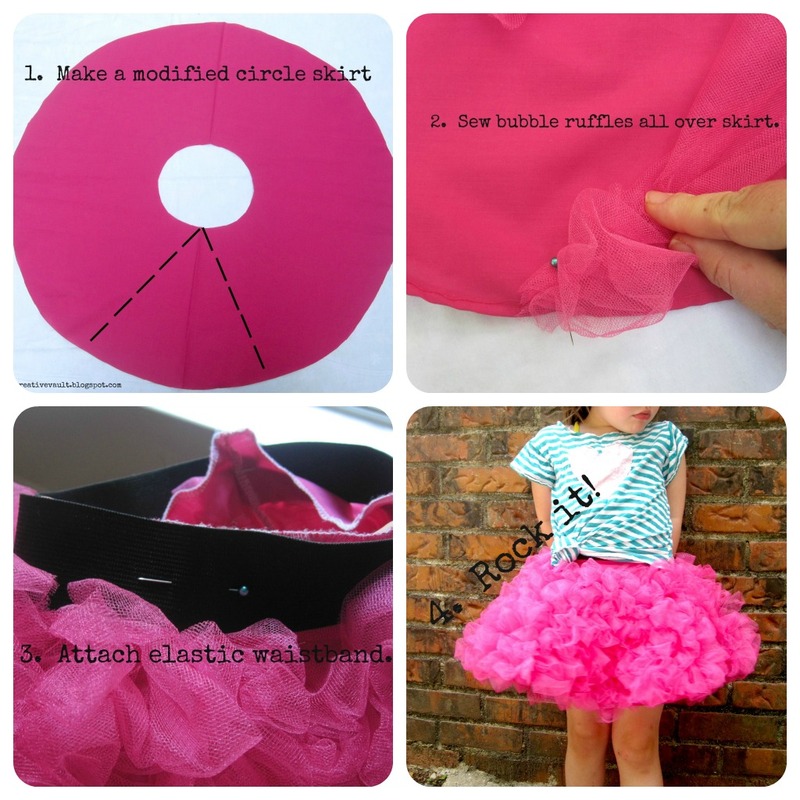 This is a little skirt that you can make to look very sophisticated or super fun. It has everything a girl needs - fluffy, frilly, twirly, sassy, chic, you name it! 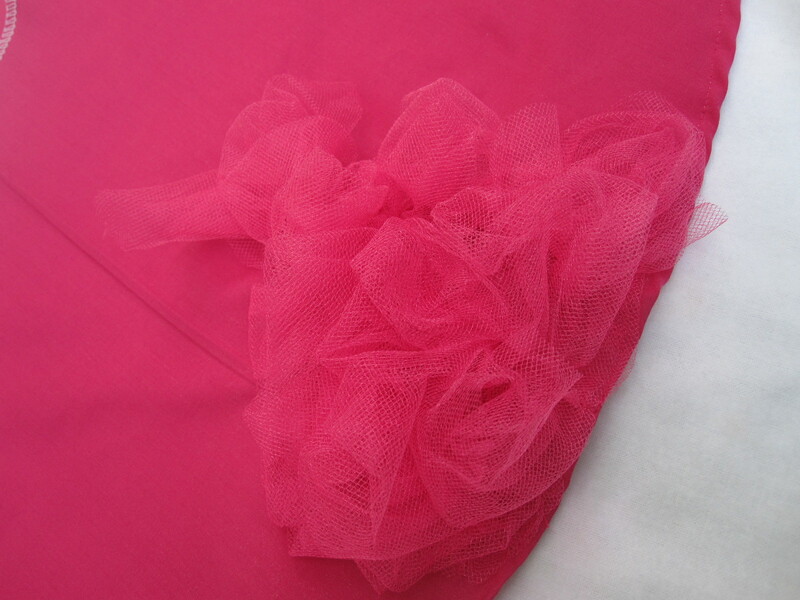 I can't help but think of how amazing bubble ruffles in white chiffon would look on the bottom of a wedding dress. There are just so many possibilities. The best part? ANYONE CAN MAKE THIS SKIRT. This skirt looks like it might be complicated and requires a lot of sewing skill but it doesn't. Even a beginner can do this. You technically don't even need to know how to sew a straight line. 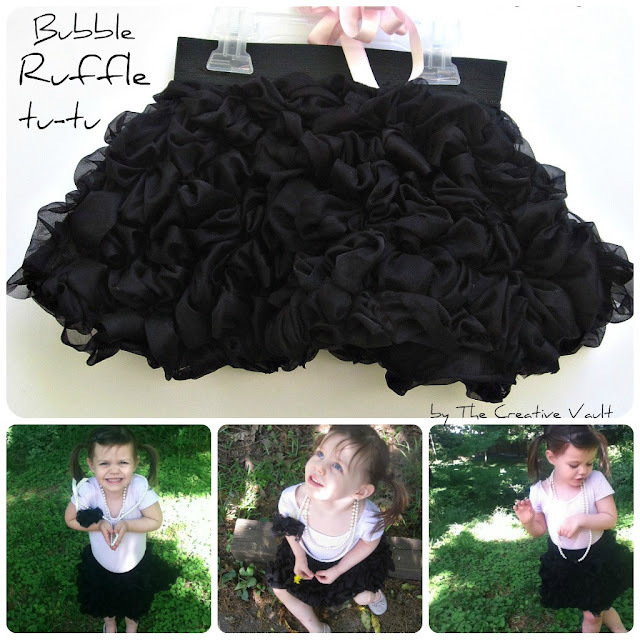 And because the bubble ruffles are so fluffy it easily will hide any mistakes you might make. I know, you're thinking, "That was technically only 3 steps." But trust me, step #4 is the most important and most fun part. Let's get started. Here's what you'll need. For my 4 year old I used 1 yard of cotton and 4+ yards of tulle. 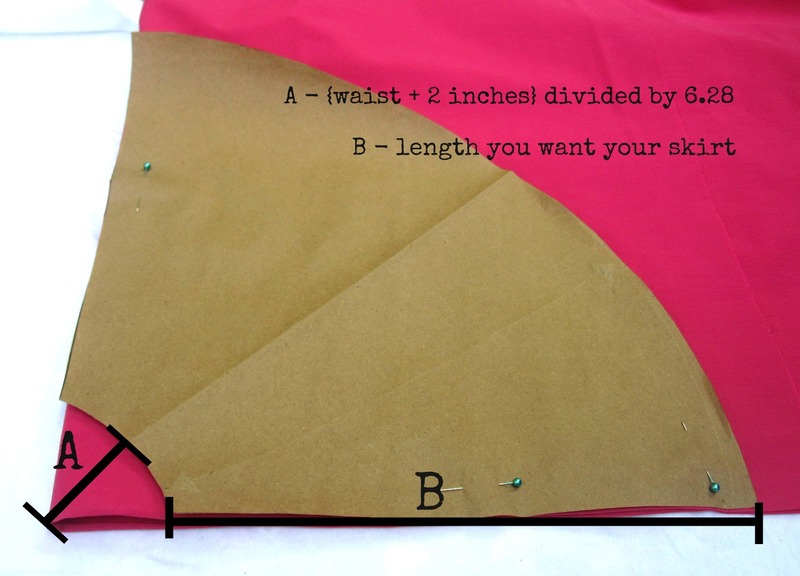 You of course would need to determine the amount you'd need for the size you create but you can use this as a guide. You can purchase 2 inch wide black elastic HERE. Cut a pie shape out of the skirt like the picture above shows. You don't need to get too technical about how much you cut out. Like I said, this is a very forgiving skirt. Sew up that now open seam. If you are using a material that will fray, now is the time to secure those edges so they look nice and clean. For mine I serged the edges then folded it under and top stitched, but you can use any number of hemming techniques you are familiar with. 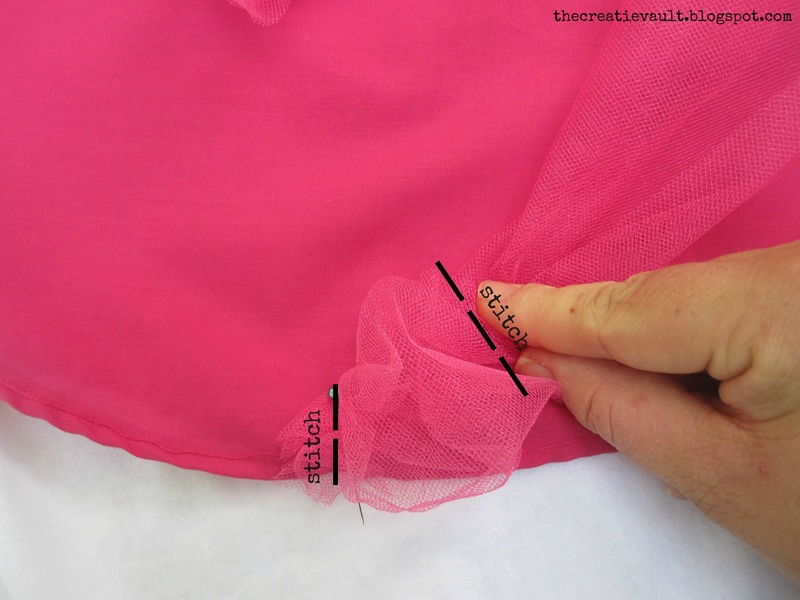 If you're using a material that won't fray you don't need to hem the skirt. First things first - cut your tulle in 2-3 inch wide strips. It's ok if its not perfect. Take a strip of tulle, bunch it up a little and stitch onto your skirt. Then about 2 inches later, bunch up your fabric again and stitch again. 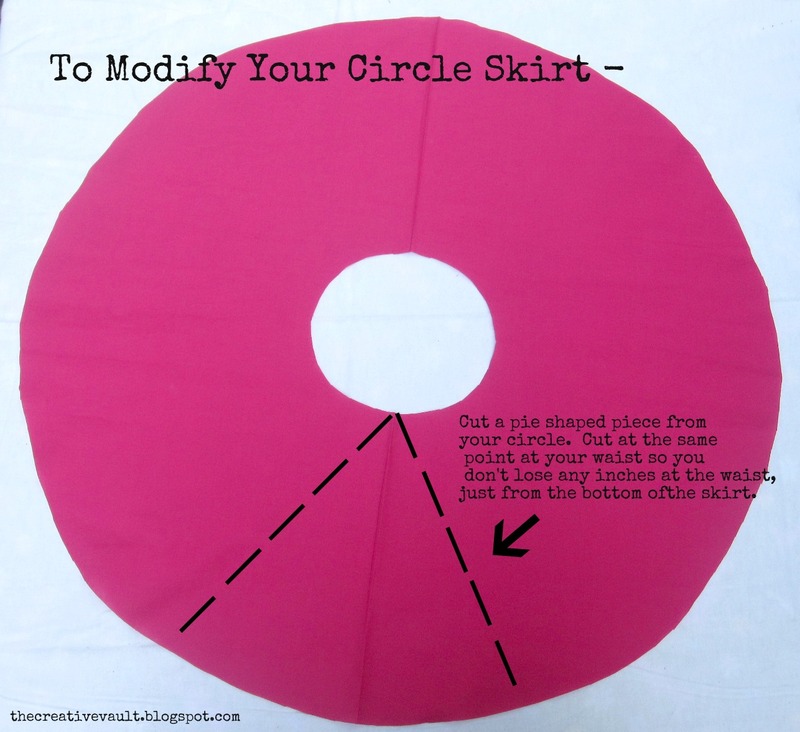 Repeat this step in a random pattern until you've covered the entire skirt. This is what it looks like after one strip of tulle has been sewn on. 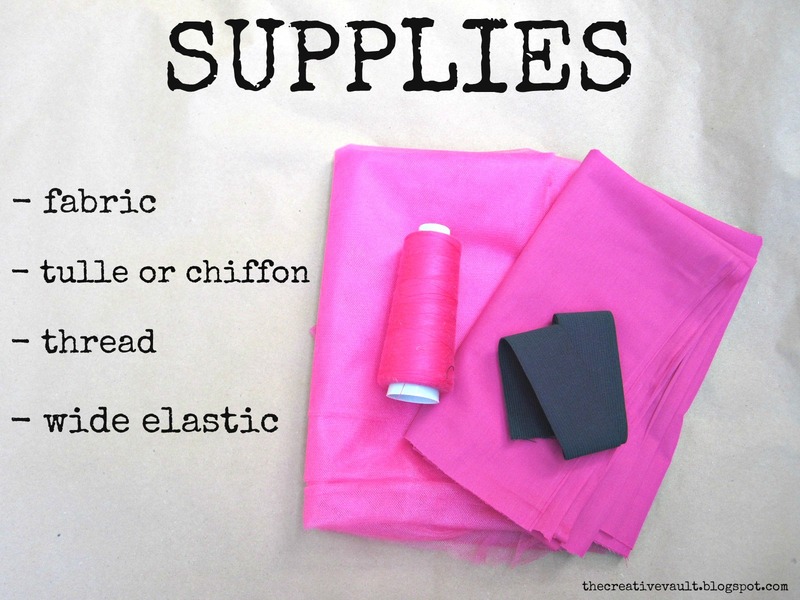 As you can see you'll need a lot of tulle. 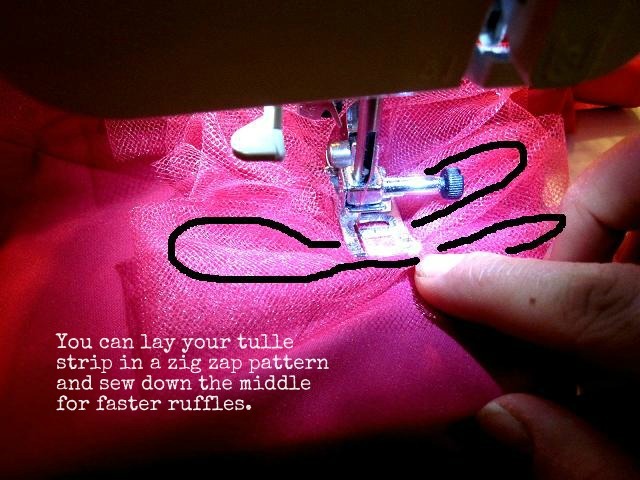 Although you'll be sewing in a random pattern there is no need to sew and stop, sew and stop. If you look at the back of my skirt you can see that I just made one continuous line. 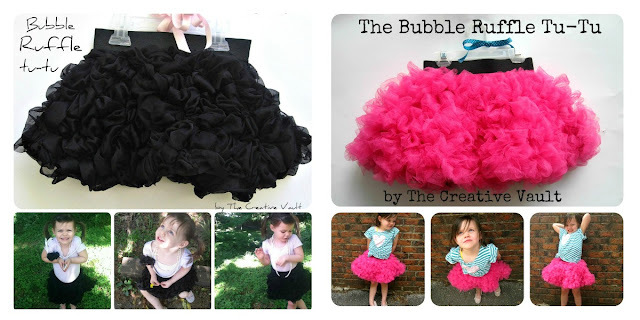 After you make a few bubble ruffles you'll get in the swing of things and the work will go much faster. When you sew the elastic together and then stitch down the edges it creates a nice flat round of elastic and a finished look. 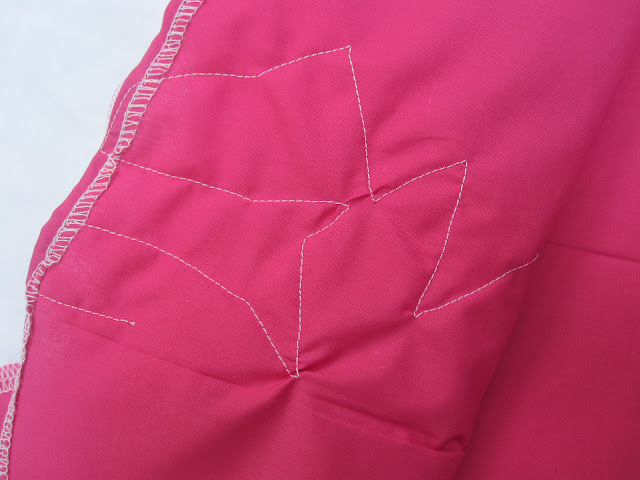 When you attach they elastic you'll need to make sure you stretch out the elastic to line up smoothly with the waistband as you sew to ensure it has the give it needs to fit over your little girls tum. 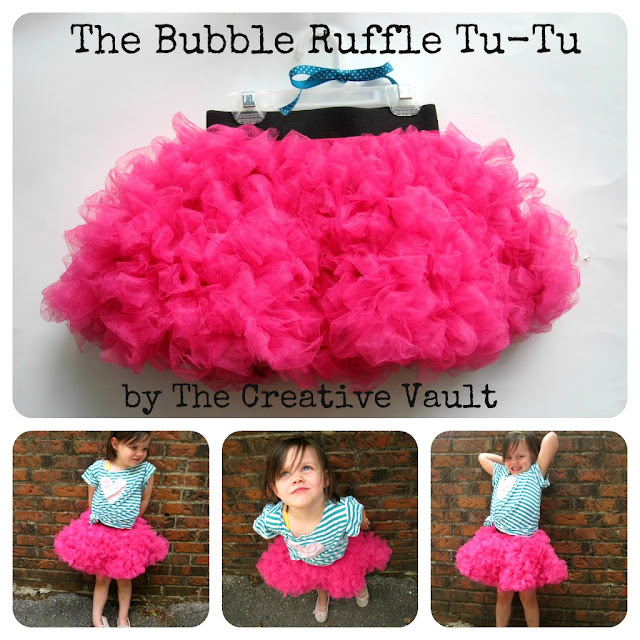 I hope you create a bubble ruffle tu-tu for the girls in your life. If you do be sure to stop by The Creative Vault and show me. I'd love to see it! This is sooo Stinking adorable! Just love the super ruffles on this skirt! I am totally featuring this next week on the Pink Hippo Party! Thanks so much for sharing with the Pink Hippo! OMG! it's amazing, lovely, chic, funny and so girly! So so so cute - I'm not sure I have the tenacity to sew all those little bubbles on! Wow... I want to give it a try, my 4 y.o. would love for sure, but I am a beginner, not sure if I can make it! I tried making it but it did not turn out anywhere as cute as yours AND it took me two days. I think I did something wrong with the bunching because it took me forever and I had to keep starting and stopping instead of creating the one line. Any suggestions you can provide would be appreciated because I really want to be able to master this skirt. 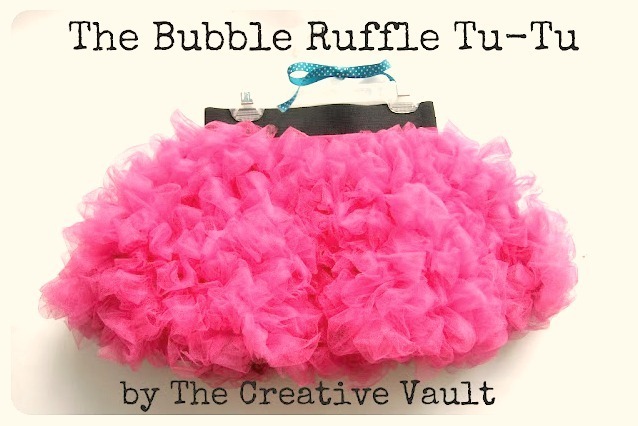 Could we please get a printable bubble ruffle pattern? I love it! A must do for my daughter !!! thanks !